Before creating an advert for a doll there is some preparation and thinking to be done first. Before placing an advert please consider if your doll has any value. There are so many pre-loved dolls in this world and not all of them have value so please do some research before placing an advert. Is your doll collectible? Is it made by a good quality brand and in good second hand condition? Is it sculpted by a collectible artist? If this is the case then you will probably be able to sell your doll. Or, is it actually very tired and played with extensively? If the latter then it may be better to clean it up best you can and give it to a local charity shop. I’m afraid that I am not an expert when it comes to the value of pre-loved dolls and I’m only really familiar with the dolls that we have sold at Petalina over the last few years so unfortunately I cannot offer any assistance when it comes to the value of reselling dolls. If you aren’t sure of a doll’s value but you know it’s make then you can search Ebay for already sold items by using their Advanced search function. You could also ask in the various collectors facebook groups or search online for websites with information. There is also a website called ‘Value my stuff‘ that for a small fee will provide valuations of antique and vintage toys and dolls by the staff at Sotheby’s. Remember, it is always easier to lower a price if a doll doesn’t sell than it is to increase it. And, a doll is only worth what someone else will pay for it and it’s just a matter of finding the right person. If you are receiving lots of enquiries and the doll is not selling, then perhaps the price is too high. Because finding that right person can take a while, you can leave adverts on Petalina for one year. The price of the doll and shipping also needs to be displayed in British pounds sterling, GBP. The website is based in the UK and therefore this makes sense. However, it could mean that your price will be affected by currency fluctuations due to the current political crisis in the UK, so I would advise you to include the price in your own currency in the description. This is something that over time we will work out how best to handle! High quality photographs are really important as these are what will sell your doll. When someone is considering purchasing a doll from a website they cannot touch and feel the doll or see any imperfections for themselves, so it is the advertiser’s responsibility to ensure that the photographs convey as much information as possible. Remember a picture speaks one thousand words! DO NOT USE PHOTOGRAPHS REMOVED FROM THE INTERNET. This breaks copyright rules and also misinforms potential buyers. Take real photos of the actual doll being sold. Petalina will use these photographs across social media to promote your advert and they need to be original. You need to take several photos showing the front, the back, the doll without clothes, all the clothes and accessories included, a close up of the face and close ups of any imperfections. You can load up to 12 of your best few photos into the advert. Position your doll in good natural light near a window but not in direct sunlight. A bright day is best but not in bright sunshine. Use a white background such as a sheet, cartridge paper or foam board and place the doll a few inches in front of it to minimise shadows behind. Using electric light doesn’t work so well because it is slightly yellow which will affect all the colours, unless you have a daylight bulb that gives off a whiter light. In the photo above you can see one of the places I position dolls to take photos, on a fairly dull day (but during daylight hours). If the sun is much brighter I would set up something similar out of direct sunlight further into the room. Use the best camera you have access to as you need high quality photographs to sell your doll. If your camera has a white balance setting then do use it. This ensures that the camera understands what is supposed to be white (I would set it using the white background) and then the rest of the colours in the photograph will be true and bright. The photos below show the difference that setting white balance can make. These photos were taken in the same lighting conditions just a minute apart with only the white balance being set to achieve the brighter lighter image on the right. Take lots and lots of photos, moving the doll around and refocusing the camera. Some photos will work well but others won’t be so good (it’s always surprising). Take far more photos than you think you need so that you have a choice. Put your glasses on and ensure that there aren’t any hairs over the doll’s face and check the photos are in focus. I know I miss so much detail unless I check it carefully wearing my best glasses! In fact, I have to load the photos onto my computer first to check the detail as the camera is just too small to ensure everything is OK.
Move the doll into different positions, remove pieces of clothing, and keep taking photos. Don’t pack up until you have checked the photos which you need to scan over carefully and spot any little things that could be improved eg. position of hair, ribbons falling in a certain direction, collars sitting correctly. Ensure that you have close ups showing the condition of the face, the eyes, the hair, the naked doll, and any imperfections. If you still have the packaging you will also need to take photos of that. Retake photos if you think they aren’t quite good enough. Remember, investing time taking high quality photos will help sell your item more quickly so better in the long run. If you have photographic software, you could also improve the look of the photograph by increasing exposure a bit, upping contrast a little and increasing saturation a touch. I find this is the best way of ensuring the photograph looks most like the doll you have in your hands. Try and provide as much information as possible in your description. Write down everything you know about the doll you are offering: the make, the range name, the age of the doll if known, the materials used for manufacture, it’s height, hair type (wig, rooted, mohair, human, nylon) and hair colour, eye type (fixed, sleeping, painted) and eye colour. List and describe the clothing, accessories and packaging included. How does the doll move? What is the range of movement? Is the doll CE marked? Is is just a CE (safe from birth) or does it specify it is unsafe for 0-3? Describe any imperfections with either the doll or clothing so that nothing is a surprise when someone purchases it and opens the parcel. If your photos and description are detailed and accurate then the purchaser should be very happy on receipt. Please take your time and give as much information as you can. Before placing your advert you need to find packaging suitable for sending the doll to it’s new owner. That way you can determine what the weight and dimensions of the package will be so that you can work out the cost of shipping. You also need to decide if you only want to send the doll domestically or internationally so that you can make this clear in your advert. 1 Wrap the dolls’ face with bubble wrap or white tissue paper. The face is the most important thing and needs to arrive without damage. Wrapping the face with bubble wrap ensures that no rubbing from the box or other items in the package can occur. If the doll is particularly delicate it would be advisable to wrap all exposed areas with tissue paper. Kathe Kruse and Schildkrot use tissue paper secured with sellotape to protect vulnerable limbs in transit. Make sure the hair is in the correct position when you wrap the head so that the doll doesn’t arrive with a strange hair do! 2 Choose a sturdy box that fits the doll well. Allow some space around for packing but don’t have so much space that the doll can move around inside the box. Also, the box needs to be well filled with packaging so that if another heavy box is placed on top of it during transit, it won’t collapse. 3 If using worldwide parcel services it is advisable to wrap the box up entirely in plastic. Large carrier bags cut open and used inside out serve this purpose well, or use a large plastic postal sack well taped up so that nothing can get caught on conveyor belts. We have had a few parcels damaged in transit due to being left outside in the rain and delivered to the customer in a very soggy state. 4 Use the best shipping method that you can afford. Cheap services take longer, and the longer it takes the more chance there is of the box being damaged. More expensive services look after the parcels more carefully so it is much more likely to arrive in one piece and much less likely to be lost. It is worth spending a bit more to have adequate insurance, tracking and proof of delivery in the form of a signature. For many people using the post office is the easiest option. First class post is very reasonable and generally arrives in 24 hours, but mail sacks are stolen every day so parcels can completely disappear and can’t be tracked. The safest method of sending with Royal Mail is Special Delivery which has plenty of insurance, is fully trackable and fast. Special Delivery items are handled completely differently to normal mail. However, it does start to get expensive particularly when the parcel weighs over 2kg. You can use the postage calculator here to find out how much it will cost to send your parcel using Royal Mail, or for parcels over 2kg prices are provided for Parcelforce. Alternatively, you can look at websites such as Parcels2Go, which allow you to enter the dimensions and weight of a parcel in order to obtain quotes from lots of different shippers. Prices can be very reasonable especially if you are happy to drop the parcel off at one of the many drop off points around the UK rather than have a courier come and collect it. You do need to allow a bit extra to make sure the insurance is adequate. If you are happy to send your doll anywhere in the world you can also look for prices using the Royal Mail price finder page and Parcels2Go. Dimensions and volumetric weight are more important than actual weights here so do make sure you have used the smallest box you can to keep the price down. The bigger the box, the higher the price, even though the actual physical weight may be the same for two different sized boxes. You may want to just add a note in your advert description that you are happy for potential buyers to ask for quotes. Do point out to potential buyers that they may be liable to pay customs charges and taxes when the doll arrives in their country and that the price you are quoting does not include those. If you would prefer not to send an item internationally, please state this in your description. How would you like to receive payment from your buyer? Remember the vast majority of people are totally honest and you shouldn’t experience any problems selling online, but there are things you can do to ensure that you are covered should things go wrong. Paypal seems to be the most useful method of payment because it gives protection for both the buyer and seller. The seller can request payment from the buyer or create an invoice to send to them. The buyer can pay the invoice using their Paypal account, but they can also use a card if they don’t have an account. When using Paypal it is essential to have a tracking number for shipping so that if a dishonest buyer raises a dispute to say that something hasn’t been sent, the proof of shipping is there, together with a signature showing delivery. Similarly, make sure your description is very accurate and the photos are plentiful and clear, so that someone knows what they are buying so that they don’t raise a dispute with Paypal for that reason. Alternatively, you can request payment into your bank account but some people may feel uneasy about doing this as they don’t know who you are and it is very difficult to do this internationally. If you sell something locally you could accept cash on collection (don’t be on your own in the house, or meet someone in a public place), or you could ask for a cheque to be sent but you would need to specify that the doll would be shipped once the cheque has cleared to ensure you receive the funds. For a few more details about staying safe when selling online you can read through the advice here. At the top of the form you will see a tick box which you need to tick to create an account to allow you to post adverts. Please provide us with your name, email address and phone number. Your phone number is useful in case I need to call you but it will not show on the advert. When your advert is live on the website only your name will show. I have inserted a screen shot below showing a completed advert. You can only see my first name and nothing else. A prospective buyer will need to click ‘contact seller’ and then a contact form will come up for them to complete. Only when you reply to this enquiry will they see your email address. 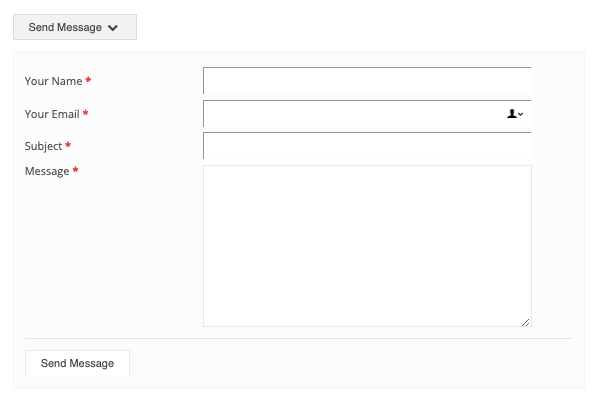 The screen shot below shows what the prospective buyer will see when they click on ‘Send Message’. Your email does not appear anywhere at this stage. In the title of your advert try and include useful words (make, range, doll name, the word doll, collection date, code number) that will draw prospective purchasers to you. A good title will also help search engines find your advert too. Eg. Zwergnase Junior Doll Azalea 2016, or Gotz Classic Kidz Luisa Doll 1566130. Try and repeat this phrase in your description 3 or 4 times to help your advert be found by search engines. 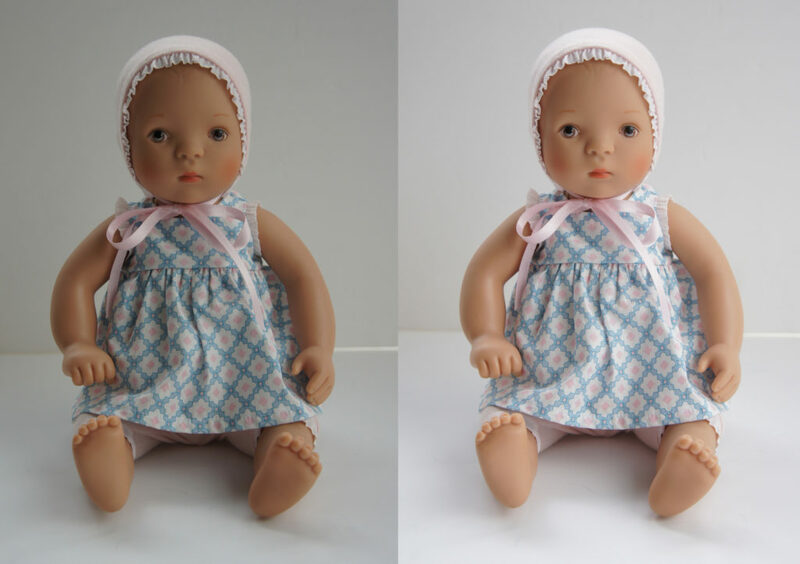 Category – please select For Sale or Wanted (when you have sold your doll you can change the category to Sold). Photos – you can upload a maximum of 12 photos. The first photo needs to be a landscape picture ideally showing a close up of the face. The photo can be quite wide and thin so that it looks nice when someone goes into your advert. All the other photos can be either portrait or landscape. If you have more than 12 photos you can say in your description that more photos are available on request. Make sure you have these ready should someone ask, perhaps in the form of a PDF to send. Don’t worry if your photos are in the wrong order. Once they are all loaded up you can drag them into the right position. Description – include lots of detail here as per the advertising guidelines. To help search engines it is recommended that you include 300 words or more. Please also include whether or not you are willing to send the doll internationally. In this case you can either quote prices in your description for different parts of the world, or you can ask interested parties to contact you for a quote. Do you have more photos available on request? Do you have a preference for payment method? Are you happy for someone to collect? How will the item be sent – provide courier name, the service (how many days, tracked, insurance, signature on delivery) and the price. Or will shipping be included in the price? Price – the price of the doll only excluding shipping. Well I think that’s everything covered. If you feel I have missed something out then please do get in touch so that I can add more information for other users if needed. Best of luck! I hope your dolly sells really quickly.